Toronto has the most international selection. London has the most eclectic. And Los Angeles has...the most. No, not restaurants. Primetime documentaries. An analysis of one week of evening (7 to 11 p.m.) documentary programming in these three media capitals reveals distinct differences, and for an average viewer in each city (i.e., one without a satellite dish or a subscription to every pay service), richness is a relative term. People who live in Los Angeles have the greatest number of channels from which to choose. In Toronto, with fewer channels, one has al most as many docu mentary hours in a week to view as one does in Los Angeles—each city's documentary fans had almost 100 hours of doc choices. And Londoners, with about a quarter of the hours of documentary programming as the other two cities and with only four terrestrial channels, have what is, in subjective terms, the most varied and challenging programming of all. I trolled through three tv program guides for the same week in February to crunch numbers and compare what to some might seem to be apples and oranges...and snowballs. As much as program producers scour through MIPTV catalogs and industry trade publications to glean what broadcasters want, the nightly listing of what is actually on TV is the most telling document of all. 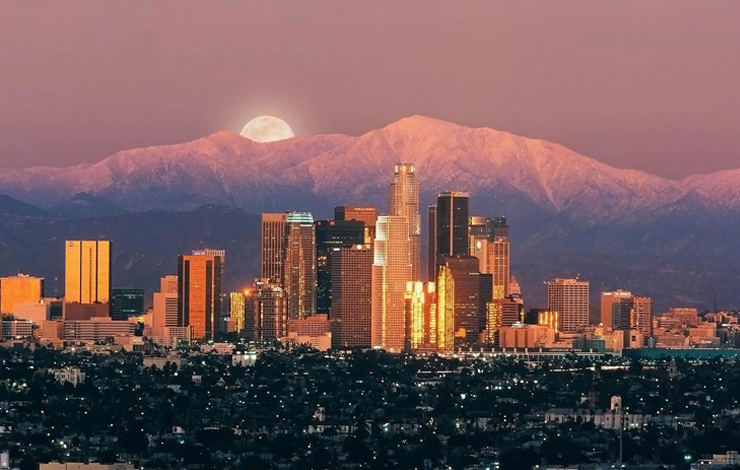 In Los Angeles, very little of the programming is local or regional. Despite the city's stranglehold on the fictional side of moviemaking and its frequent depiction on screen, it is almost invisible in a week of documentaries in which pharaohs, World War I tanks, and parrots dominate. Some programmers seem to shout at you (Cyclone! ; Dinosaurs!). And as the makeup artists on Babylon 5 well know, looks can be deceiving: despite the high number of hours of programming in a week, with documen taries in the L.A. area al most completely restricted to cable channels, there are lots of repeats, sometimes in the same evening. In London, much of the programming relates to current ideas, issues, and concerns, and extended series (for example, The House, a behind-the-scenes look at the Royal Opera House) are dedicated to London institutions. Documentaries also play key roles in the schedules of all four channels, with BBC2 devoting as many as two and three-quarters of the four hours available on one night to documentary films. Some of the U.K. programs would seem inconceivable for primetime in North America (such as BBC2's Trade Secret, in which "housekeepers share some of their tips on cleaning chores with advice on cleaning the insides of kettles"). Here there is a willingness to deal with the quirky, the seemingly insignificant, things that are not always "major issues." As usual, Toronto, home of the Raptors and the Monarchist League, is somewhere in between its American and British cousins. With access to some but not all of the U.S. services (A&E, for instance, but not its sister service, the History Channel), and with some of the best of British programming available on TVOntario, Canadian Broadcasting Corporation, or other domestic networks, Torontonians have an international menu. This effort is, of course, completely unscientific, representing as it does only one week out of 52. But some useful data and trends can be harvested­ especially as some documentary programs or strands run year-round or, as is the case with some U.K. programs, for decades. A further step would be to analyze actual viewing figures, data to which I didn't have access. I chose to exclude magazine-type shows, news and current affairs reports, performances, talk shows (indeed, an entire channel in Los Angeles, Americas Talking), and informational and instructional programs. In Los Angeles, the schedule is dominated by history programming (about 40 percent of the shows...and it's usually either ancient or mid-20th­ century history), followed by science/ wildlife/nature (approximately 30 percent), with arts documentaries accounting for less than 10 percent of the titles. (Only a single sports documentary was on in primetime during the week measured: KLCS presented A Hoop Dream Reunion, a sequel to a documentary so famous that the listings editor didn't feel it was necessary to describe the original film). And in terms of average running times, in Los Angeles there is no contest: almost 80 percent of the shows are one hour in length. The patterns in Toronto are not dissimilar. Science/wildlife/nature leads the way with almost 40 percent of the programs, followed by history with about 20 percent. Approximately 15 percent of the films deal with social issues other than crime (e.g., Man Alive and a number of shows on Vision TV). About a third of the documentaries on view in Toronto are one hour in length. The eccentric English refuse to be pinned down: no single type of program dominates the documentary lineup. The science/wildlife/nature category leads with 22 percent (although very little of that total is made up of wildlife programming), followed by arts (20 percent) and social issues (20 percent), with history (12 percent) and law and order (12 percent) not far behind. And one-hour programs don't own the airwaves as they do in North America: about 55 percent are 60 minutes in length, most of the rest coming in at 30 minutes. The accompanying sample listings represent a small selection, with a greater emphasis on the U.K. informa­ tion, because it is less familiar to North American viewers; some nights, Los Angelenos and Torontonians could pretty much swap tv guides without noticing. Perhaps these distinctions between local program schedules in three countries will disappear with the advent of 500 or more channels and the convergence of computers, cable, telephony, and television. But a t a time when there are Websites about tv programs and tv programs about Web sites, you know it's best to just pick up a book and read. Gerry Flahive is a producer at the National Film Board of Canada in Toronto. He is working on The Man Who Might Have Been, a documentary about diplomat E. Herbert Norman, whose suicide was a Cold War mystery.